Three people and a dog were displaced after a fire at an east valley home on Sunday, according to Clark County fire spokesman Jeff Buchanan. 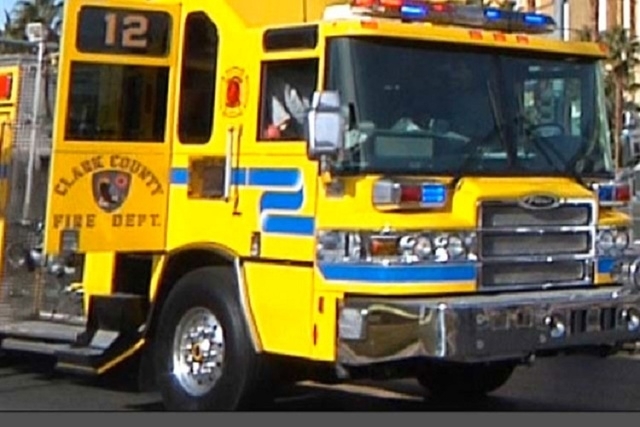 Three people and a dog were displaced after a fire at an east valley home Sunday morning, according to Clark County fire spokesman Jeff Buchanan. Firefighters responded to the call at 3086 Palmdale Street about 8 a.m., and had the fire under control within ten minutes. No injuries were reported and the fire is still under investigation.